We have never been fans of smartphone cases, especially on a device as nice as the iPhone. The market is saturated with cases, with everybody from market stall traders to designer outlets selling cases intended for Apple’s flagship smartphone. They’re all much of a muchness though, making the iPhone bulkier and generally less attractive. Nearly to a tee, everyone on the market thus far has one major drawback too – it covers the screen, diminishing touch screen performance and adversely affecting the brightness and contrast. That is until the LifeProof Nuud made its bow. This model has one major selling point – it doesn’t actually cover the phone’s screen at all. Instead it delivers a fully waterproof rubber case that moulds around the screen, covering and protecting the rest of the device without obscuring the screen. The screen on the iPhone is made of glass, so is the one part of the device that is already full waterproof. 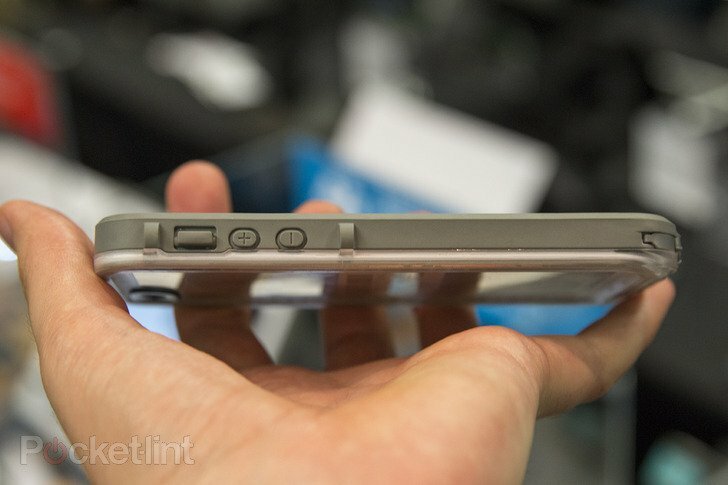 The rest of the iphone is less secure though, as the gaps where the buttons fit into the casing are weak points that can let water and dirt in, both of which can wreak havoc with the phones internal systems. So long as you don;t have a smashed screen, you can feel confident in dunking it into a tank of water to test. Even if it is more-than a little disocncerting, considering the scenes exposure. 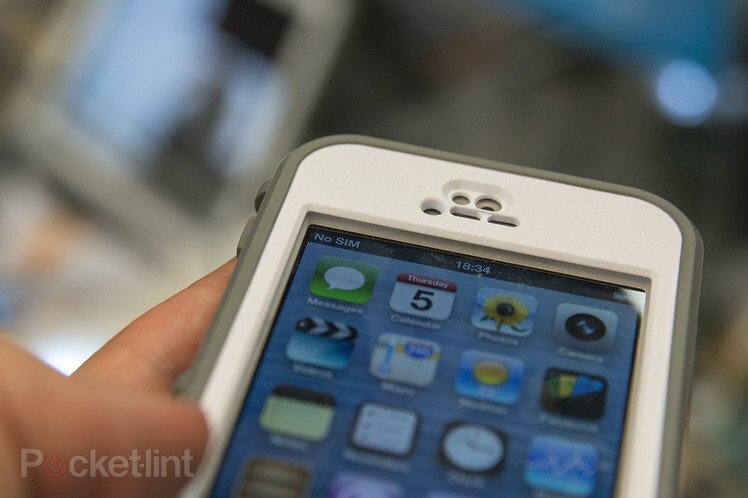 This LifeProof Nuud case is not perfect – but we’re not sure that any iPhone case ever will be. It definitely adds bulk, and the rubbery material does little to add ‘quality’ to the feel of the iPhone. The company’s marketing claim that this case is the “thinnest, lightest iPhone 5 case ever created” may well be true – it weights almost nothing – but it also stands tall amongst the crowds of cases that feel a little cheap under finger. Also, light is one thing but this case does mean your iPhone will stretch the tape measure a little more, with added size. All that aside, the case allows you to use all of the iPhone functions as normal, including accessing the headphone jack. For us, the big possibility with this case is for extreme sports fans, especially with the skiing and snowboarding season fast approaching. The case covers the ‘big four’ causes of iPhone damage, which include shock, dirt, snow and water. The slightly bulky rubberised case would actually work well under ski-gloves too, with its added grip and slight extra bulk making it fit better under hand. Previous articleWhat? People don’t care that you’re verified on Twitter?